Thursday, September 13, 2018 - This bold and daring lady stepped out in a crazy outfit that left little to one’s imagination. She exposed her bare derriere in an outfit that was barely there and didn’t seem to be bothered as she posed for photos with revelers. 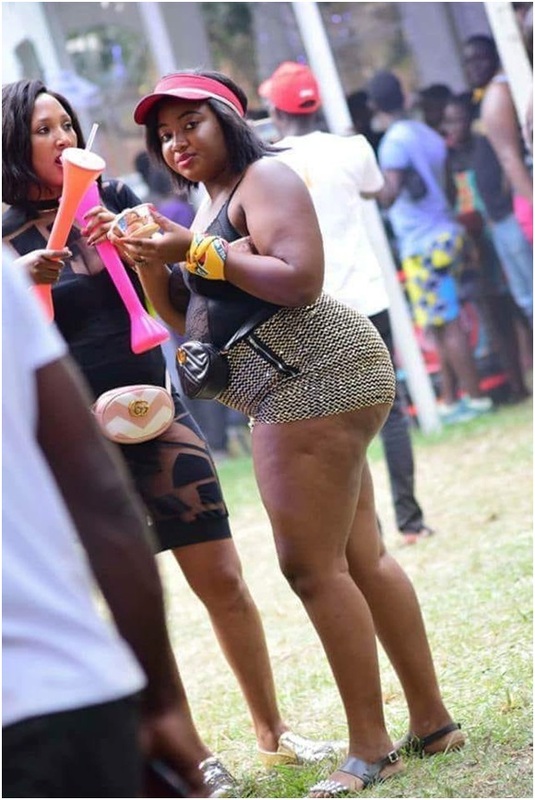 She was spotted at the infamous ‘Nyege Nyege’ Festival that went down last weekend in Uganda. Maybe this is why Museveni had attempted to cancel the event.